Azure. It is on the lips of all Microsoft and cloud lovers as of late. But honestly, how do you pronounce it, what is it and why? Some pronounce it with a “Z” (azzurr) and some with a “J” (ajure). It was TimeXtender CEO, Heine Krog Iversen who discovered the appropriate pronunciation when presenting Discovery Hub® at an internal event at Microsoft HQ. AZ'ure (āzh'ər). That’s the winner! Now that you’ve had your daily diction lesson, let’s dive into what Azure is and why this cloud service is so impactful. Have you experienced the daily struggle of providing your employees with access to important data when and where they need it? It’s a common issue our customers experience and integrating Discovery Hub® into their systems has allowed them instant access to their data. What’s more exciting, you can unlock the full potential of Discovery Hub® through its operation in the cloud. To help you leverage the cloud, you need a solution that is based on automation; one that removes technical roadblocks that prevent you from instantly accessing your meaningful data. That solution, my friends, is Microsoft Azure! Looking to make a digital journey to the cloud? Let's talk! Microsoft Azure is “an ever-expanding set of cloud services to help your organization meet your business challenges.” In simple terms, it is one cloud for all! 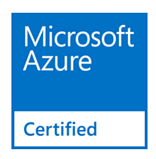 With the Azure certification, Discovery Hub® is now a trusted application that is available in the Microsoft Azure Marketplace. Discovery Hub® is focused on giving every business user instant access to data and to do this, the only way is through the cloud. Customers have the freedom and flexibility to effortlessly move and combine any supported ADS (Azure Data Services) technologies and all versions of SQL Server. An analytics architecture built in Discovery Hub® can handle any variation in the underlying technology. Thus, moving from SQL to the cloud can be accomplished in as little as a day. Discovery Hub® provides a cohesive fabric across both on-premise technology and Azure services, eliminating the need to manually stitch together tools for ETL, data modelling, code management, security, etc. By running Discovery Hub® on Azure, you provide your business users with self-service analytics. That means that users are in the driver’s seat with fully automated data preparation, providing them with the accessibility needed to maximize advanced analytics and AI. Pretty cool, right? Because time matters, we fully support customers’ cloud strategies to save them time and money on maintaining systems. With the cloud, you only pay for what you use, and you can work anywhere without disruptive accessibility delays. If you’re looking for a quick start-up option, our subscription model makes getting started with Discovery Hub® easier than ever. Let’s talk about ending your daily struggle.